It looks like the greatest operatic hero in South Florida this season comes armed with a checkbook instead of a broadsword. 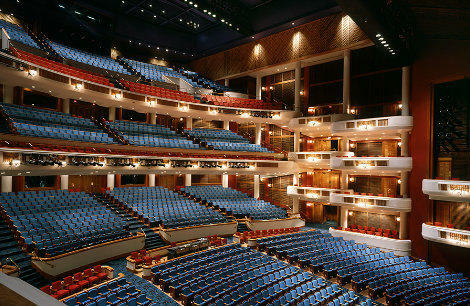 Weeks after the Florida Grand Opera announced that a funding shortfall might force the company to pull out of its Fort Lauderdale performance dates next season, FGO general director Susan Danis says an anonymous donor has stepped forward to help. “This amazing person is willing to match every dollar raised between now and the end of January,” Danis explained in a written statement. For the last 30 years, Miami-based Florida Grand Opera has brought at least two of its operas each season to the Broward Center for the Performing Arts. Earlier this month, the company announced that unless a fundraising goal of $600,000 was met by Jan. 31, the company would be unable to hold Broward performances next season. “We are so fortunate to have an individual who wants to ensure that opera is available for the residents of Broward,” wrote Danis. Florida Grand Opera says the company has “identified” $200,000 worth of funding, leaving $400,000 to be raised by the Jan. 31, 2015, deadline. Each dollar raised will now matched by the anonymous donor. South Florida’s premiere opera company says lack of funds might soon bring down the curtain on its Fort Lauderdale performances. The "Eyes" Have It In Florida Grand Opera's "Thais"
The names Barbe and Doucet might not be as widely known as Wagner, Puccini or Verdi -- but their influence is felt in opera houses worldwide. French director Renaud Doucet and Canadian set and costume designer André Barbe are partners in life as well as work. And this month, they're bringing their combined talents back to the Florida Grand Opera for Jules Massenet's "Thais." When you see someone singing onstage at the Florida Grand Opera or the Adrienne Arsht Center, do you think about what goes on behind the scenes -- not just the costumes or the sets, but in the singers' lives? Believe it or not, some of South Florida's opera singers work in electrical and mechanical engineering, accounting, education and law enforcement during the day. Husband and wife Martin Nusspaumer and Maria Antunez worked as engineers in their native Uruguay. Leave your tuxedo, evening gown and lorgnette at home and come as you are. That’s the message from Florida Grand Opera, the Sunshine State’s oldest arts organization. “It really is an entertainment for all people, not just folks dripping in diamonds,” says Florida Grand Opera director Susan Danis. This is Danis’ first full season as the opera company’s CEO. And she’s working hard to disabuse people of the notion that opera is all about zaftig women with braided hair and horn helmets caterwauling onstage. When Jane Chu was growing up in Arkansas, the daughter of Chinese immigrants, she remembers that her parents liked bok choy while she liked corn dogs. They spoke Mandarin and "book English," and that, she says, could only go so far when her father died when she was nine-years-old. But she played piano, and she says music is where she found a way to express emotions where words fell short. Chu believes strongly in the ability of the arts to transform individuals, communities and the overall economy. An hour before the opening of the inaugural Magic City Comic Con, hundreds of comic fans and cosplay enthusiasts were lined up around the Miami Airport Convention Center to find the latest deals on comic books, show off their costumes and meet their favorite artists. South Florida Author Examines Miami Race Relations And The "Yiddish N-Word"
Much has been written about the close bonds forged between Jews and African-Americans in Miami in the 1950s at the start of the civil rights movement. But a more complex, conflicted side of that relationship has fired the imagination of local novelist Joan Lipinsky Cochran. At a time when investors are paying record prices for land in Wynwood, real estate broker and developer David Lombardi is choosing not to build on his Wynwood properties. There are more than 60 different conventions for comic book collectors, anime and Cosplay enthusiasts, toy collectors and science fiction fans in the state of Florida every year. They are relatively small affairs, nothing close to the mega-events such as Comic-Con International in San Diego, which attracts more than 100,000 fans annually.